The other day one of my friend saw this recipe in one of the TV shows and she jotted down the recipe.She immediately tried it as the looks was irresistible and it was a lip smacking one.She then told me the recipe and I too felt to try it when she listed out the ingredients.Very soon ,I have big a fan of Thattukada chicken fry.There are peppercorns,green chillies, and chilly powder to spice it up.The chicken is first cooked in the marinated masala and then deep fried in Thattukada.But I prefer avoiding excess oil and hence I used a non stick pan and shallow fried.Each one of you might have wondered the magic spices of thattukada if you have ever tasted it.Yes Frenz,now you can definitely prepare this recipe sitting at home with an extra effort n simple ingredients !!! Warm the peppercorn ,cinnamon , cloves for 5 minutes in a dry pan.Add the chilly powder after putting off the flame,check not to burn it up. Grind the warmed spices, to a smooth paste and then the garlic,ginger and green chillies by adding water to fine paste. Add salt ,soy sauce, and vinegar. (or lime juice) to the mix. Place a cooker or a thick based bottomed kadai, put the chicken pieces with masala without oil. Put it on low flame, and cook it covered. Cook for 15minutes,and till the gravy dries up ,sticks to the chicken pieces. Heat oil in a non stick pan,add each pieces to the oil. Fry both sides and place it on a paper towel. Add the sliced onion,curry leaves ;fry the onion till light brown and add to the chicken pieces. 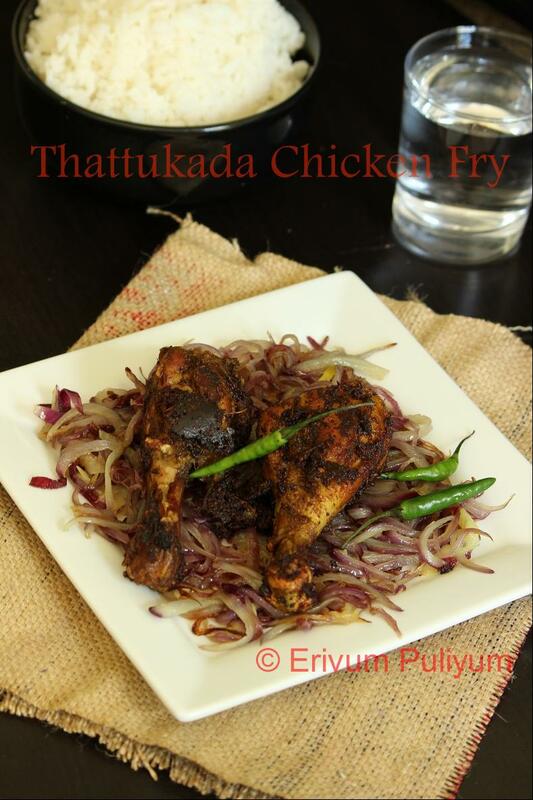 Wow...Julie chicken fry looks irresistible ...very yummy recipe too n all your clicks are so tempting..,bookmarked it right away..thanx dear for sharing !! Fantastic recipe....loved the ingredients used and the delicious look of it.. I've heard that Indian fried chicken is very delicious, I would love to try this recipe. Thanks Julie! Chicken fry looks to be perfect. Already drooling over here. Slurp!! Lip smacking chicken fry. Slurp! Julie, the chicken looks irresistibly sinful!! I am going to try this soon!! Thanks for sharing! 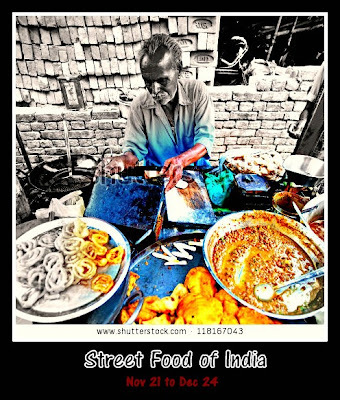 There is something else about street food, isnt it? chicken looks mouthwatering and real yummy, superb recipe..
One of my fav dish from Kerala is appam with spicy chicken curry. I am sure this chicken fry would be my next fav. the color and glaze is so gorgeous! 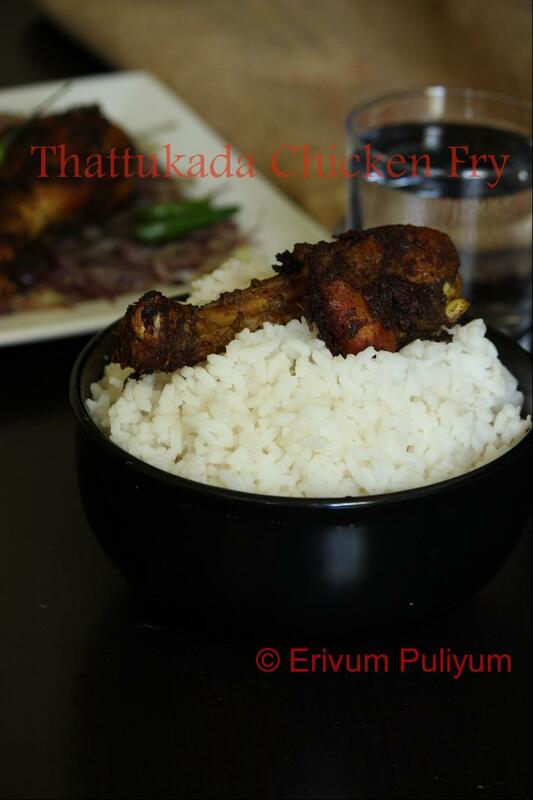 A sure treat for chicken lovers! Thanx to all n a very Happy Onam too!! Looks very delicious!Thanks for visiting my blog! 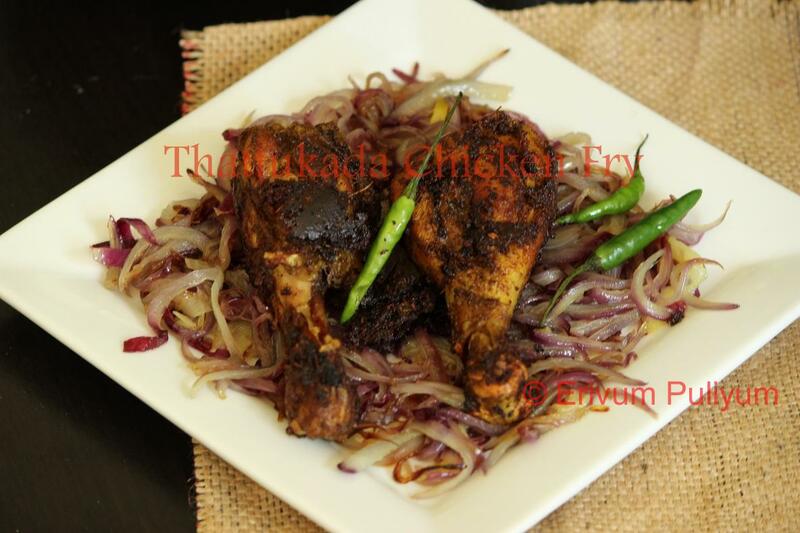 This Chicken Recipe is really mouth watering...u have got an awesome selection of recipes!! Thanks for dropping by my blog!! Happy to follow you as well!! Sure Sharon!! Do let me know the outcome as well.. Very tasty one indeed! !